Chewing gum may just be something you do while you are bored, but it can actually have positive effects toward your oral health. As long as it is sugar free gum, you can have a very good visit the next time you see your dentist in Jenkintown. When you chew gum, you are increasing the amount of saliva your mouth produces. Saliva is actually incredibly advantageous when it comes to your dental health. Saliva is your body’s natural way of removing bacteria and food particles from your teeth so that cavities cannot develop. However, this benefit is only possible if the gum does not have any sugar. Chewing gum filled with sugar is going to do more harm than good. The increase in saliva does a lot more than just wash away bacteria. Saliva contains phosphate and calcium, which are minerals your teeth need to be strong and healthy. After eating a big meal, your teeth are going to be exposed to a lot of different bacteria. Saliva washes bacteria away while delivering needed nutrients to strengthen your pearly whites. Chewing gum is just one thing you can do to improve your dental health. It is not going to be a full substitute for brushing and flossing. You still need to do those activities twice a day, and you should be mindful of the type of diet you have. 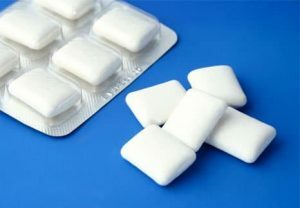 Provided you are smart about how you care for your mouth, sugarless gum can be an added bonus. Gum has many benefits, and to ensure you are getting the most out of it, look for gum that comes with a seal from the American Dental Association. That seal proves that this gum will aid your oral health. 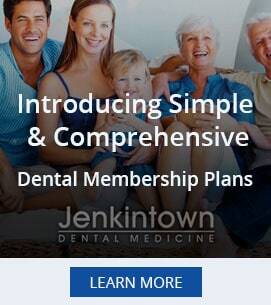 See how your teeth and gums are holding up by seeing your dentist in Jenkintown at least twice a year.